Well Loyal Legionnaires, once again i am late with a post. Where does the time go. 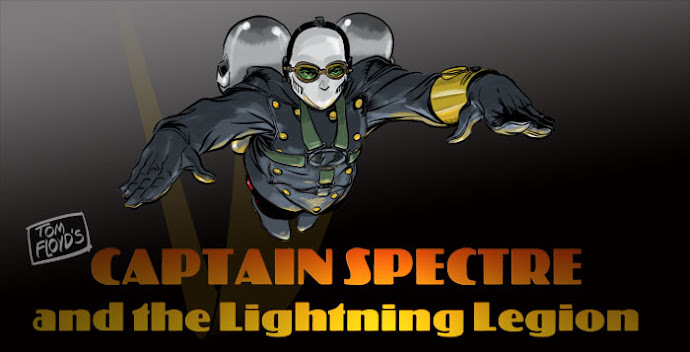 Anyway progress is being made on the first Captain Spectre print story. I know, I know you have heard all this before. But honestly the die is cast, the outline is in place, and production has started on the story. As before it is an intro story, short and sweet. Done in one, and all that other stuff. 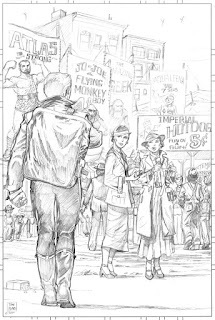 I hope to get alot done on this story over the next few months. I hope. Anyway without apologizing anymore for my lack of updates....here are some working pieces from this weekend. This opening page was kind like the last one i put up, but the story location has changed and it has changed for the better. 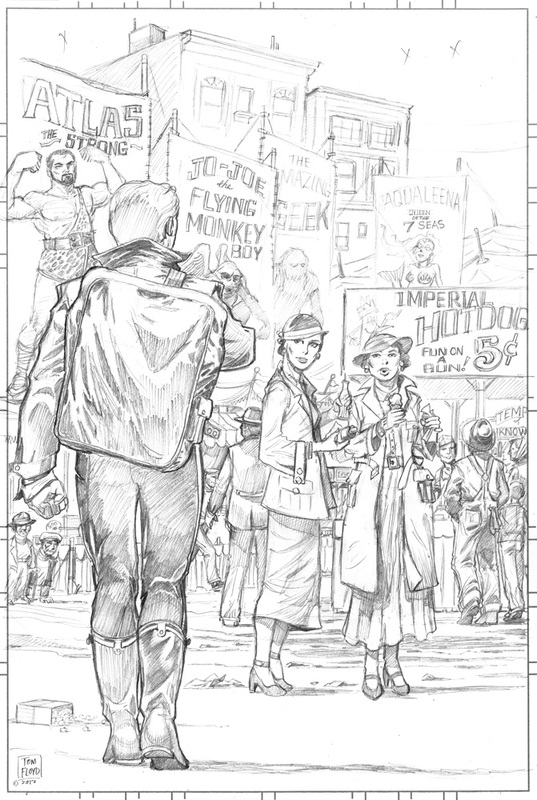 Thanks to a Loyal Legionnaire for a brilliant idea about the carnival for the opening scene. And she knows who she is, so i want to thank her outright for such a great idea that she is letting me steal. ha. Also with the carnival, i needed some back story, as i really love carnivals or did when i actually went places. So of course the fortune teller is part of the story, but then i had fun figuring out the freaks in the freak show. 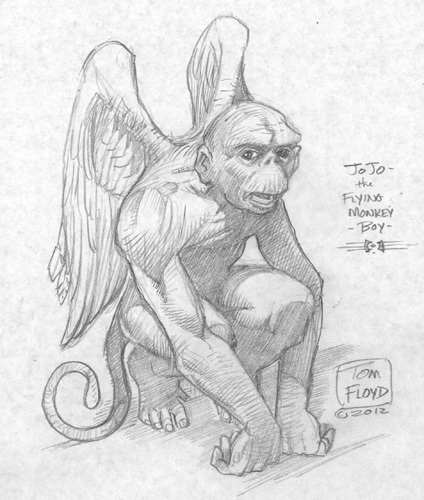 Like JoJoe the monkey boy. And i also needed to know who the bosses were that ran the carnival. 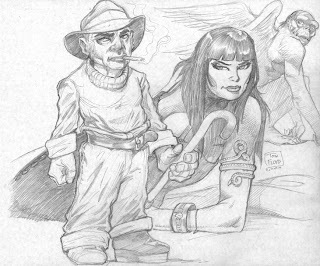 So enjoy and hope you like these sketches and pencils.